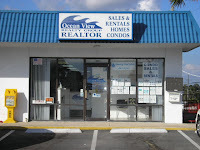 Ocean View Realty Group in Ormond By The Sea, Florida will not renew the license for the A1A School of Real Estate when it comes up for renewal March 31, 2011. Recently the school has only provided the Real Estate Sales Associate & Broker 14 hour continuing education course required for license renewal. A1A School administrator & Ocean View Realty GroupBroker, Al Raymondi said "eliminating the school will allow us to concentrate more on our core real estate sales and rental activities. We apologize to our loyal customers. Realtors who have used the A1A School of Real Estate for their continuing education requirement will find many alternatives available at competitive prices.